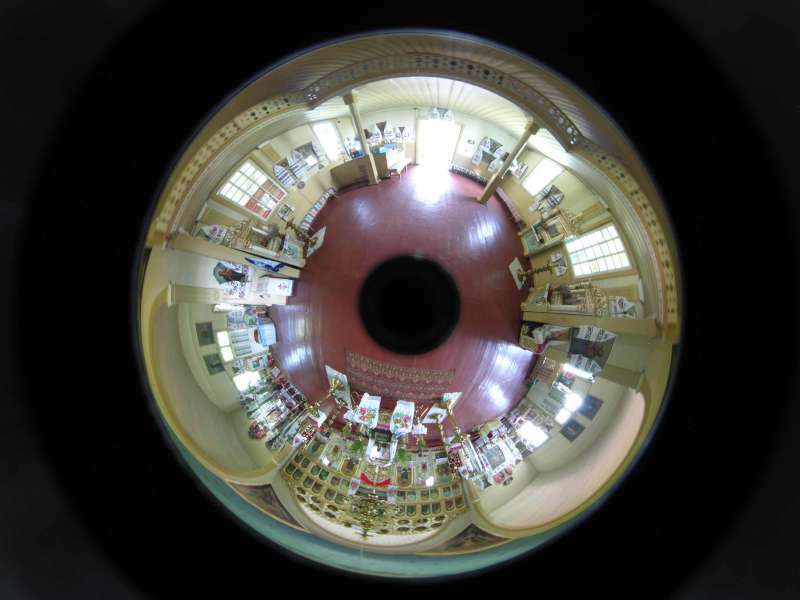 Many buildings in the world, including museums, are shown to the public on the internet by using Virtual Reality. We started to use this technique in 2001 to show a Ukrainian Village House. The initial method we used was by using a Computer Assisted Design (CAD) program. In this method the dimensions of the building are determined, on site, and all aspects of an object are photographed. A computer program is then used to “build” the 3D model of the building (we used Strata). Using several hundred measurements, photographs, and 9 months of computer time we generated the Latysh Farm. This can be seen on this website. The following year we made The House of Baba Sanka by the same technique. In 2005 we again went to Ukraine to make Virtual Tours of buildings, but this time we used a different technique – one that was much faster. This is described below. 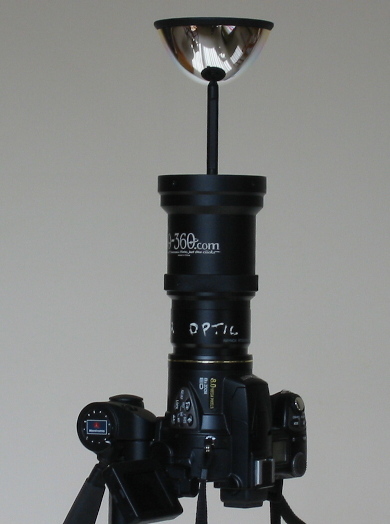 A special parabolic mirror is attached to the digital camera. A photograph is taken of the reflection of the room in the mirror. This distorted circular image is processed by a computer program into a panoramic strip image. This image can be converted, by a computer program, into a Virtual Tour. The same computer program can be used to insert additional images, videos, or sound recordings into the Virtual Tour. The final “package” was first generated as a QuickTime Virtual movie – this is no longer supported by Apple. 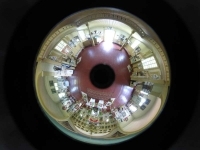 We then re-processed the panorama into a Flash video – this cannot be viewed on iPads or iPhones. NOW – we convert the panorama image into html5. Hopefully this format will be viewable for a while!